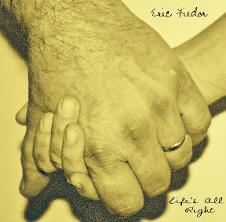 Southern Rockin' Country, Blues, Alternative, Roots Rock and Americana are all labels used to describe Eric Fiedor's music. After traveling as a child in different parts of the U.S. and the World, Eric's family settled in the Deep South where all of the soul of his music comes from. 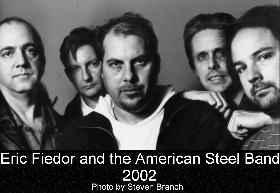 Playing in different bands from the late 70's thru the early 80's Eric's signature band was The American Steel Band- (together from 1987 to present in Nashville). The American Steel Band recorded eight albums, two of which made the list of top Independent Albums in Performing Songwriters Magazine. Eric currently has 2 co-cuts: One with Pierce Pettis (Garth Brooks) on his State of Grace album "I've Got A Hope" (Compass Records) and the other from Mike Rayburn's Unstoppable album "I Kinda Like the Rain" (Dry River Records). The Fiedor/Pettis co-cut was later recorded by Dove Award winning artist Carolyn Arends on her album Polyanna's Attic which was nominated for a Juno Award.